This is my first nail polish bought online! I was a bit worried weather this color would be nice as I wanted this and couldn’t find this color in any store! But, I fell in love with this the very instant I saw the bottle! 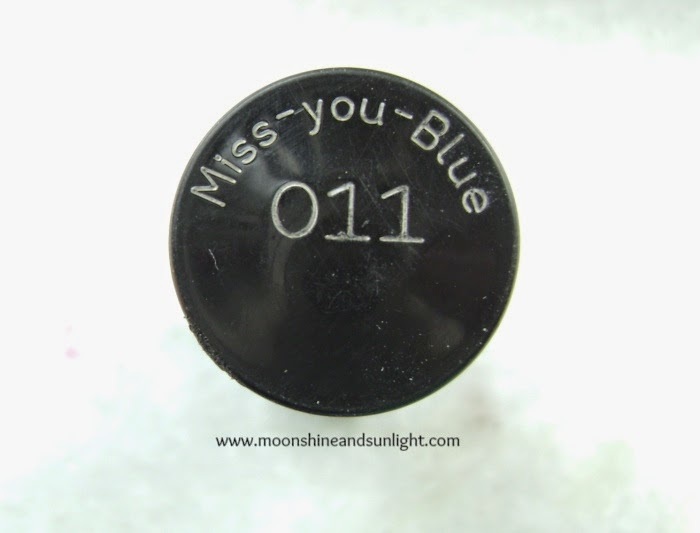 Anyways I have a “thing” for anything blue and this is a metallic blue! Brush: - Standard Colorshow brush and I like these soft, medium width brushes. 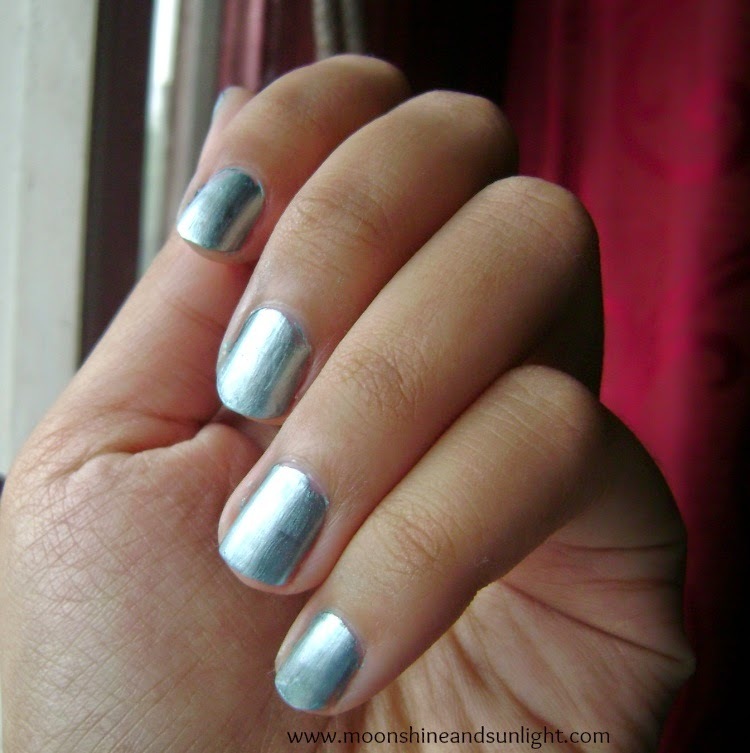 Color: - A metallic icy blue, with silver undertones. It is loaded with silver shimmers that give the metallic look. The color reminds me of Elsa from the movie Frozen. 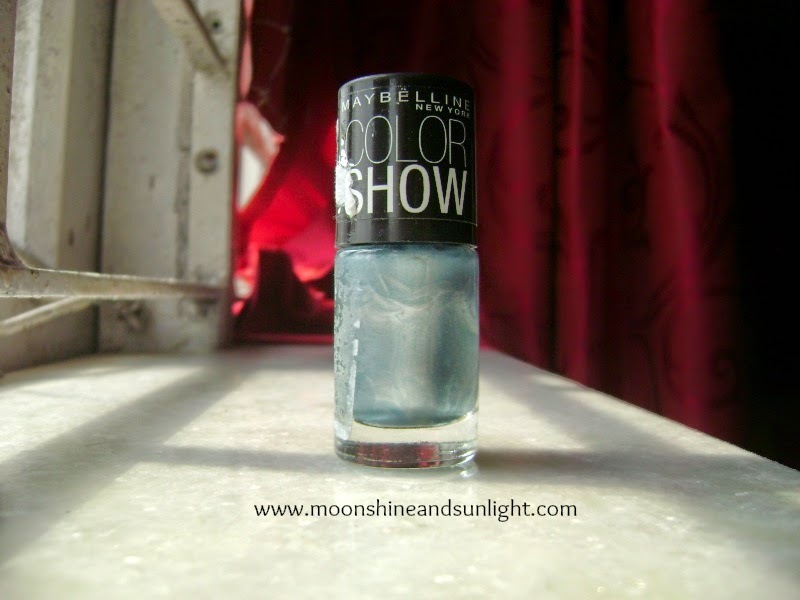 Formula and pigmentation: - I really like the formula of Colorshow; it has no “bad” smell, ughh! Hate it! The consistency is just a bit runny for this shade but the pigmentation is awesome! Just one coat is all you need! I am wearing two coats on one finger (can you spot it)! Longevity: - Stays for 3 days without chipping a bit, with a top coat, this easily lasts for a week! Nail art: - Perfect for nail art base, I did an Ikat nail art with this as a base! 1. Drying takes around 4 minutes (completely). 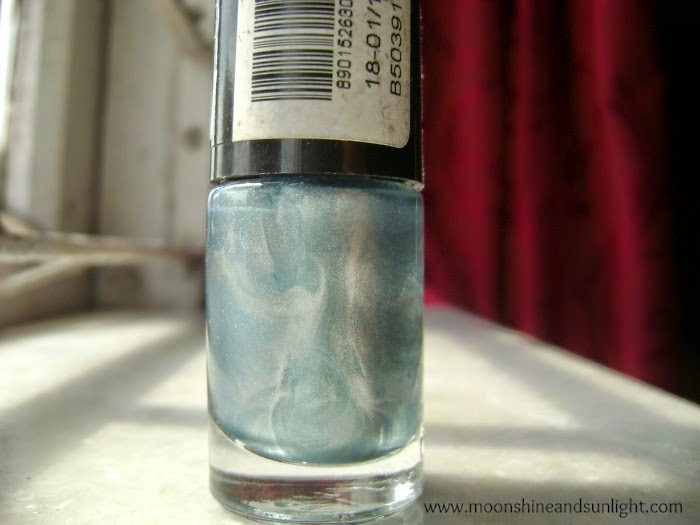 3. leaves a blue tint on nails, which go off after you wash your hands. This is my second favourite from the color show range after Velvet wine. I love these polishes from Maybelline. You are going to see a lot of swatches on the blog, cause I bought a whole lot of new nail polishes! Have you tried this shade out?? Which is your favourite from the Colorshow range?? See all the shadesfrom this range here. Its a Lovely Shade ! it is looking so pretty on ur nails!